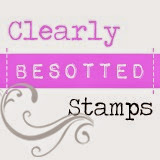 Cards, Candi and Cupcakes: FAB DISCOUNT FROM CRAFTWORK CARDS....enjoy! FAB DISCOUNT FROM CRAFTWORK CARDS....enjoy! Are you going to the Hobbycrafts Show at the SECC, Glasgow? Simply right click the image and print it out, bring it with you to the show and present it at Craftwork Cards till when paying for your crafty goodies and you will receive 10% off all products purchased! Enjoy your shopping anad as I can't go be sure to buy my quota too - have fun!! !